to develop manageable and summarizing balance sheets and indicators, which aggregate multitude data to informative key ratios. Even if only dynamic technological development with new opportunities is considered, which has not been identified today, and the understanding of systemic relationships und interactions continously is expanded, we finally achieve a challenging modelling, which may be further improved. The objective is to develop the basics for a national monitoring system of present and future flows of biomass. Here, the resource base (biomass utilization/ biomass potential) has to be measured as well as the flow of the biomass right down to the end consumers. 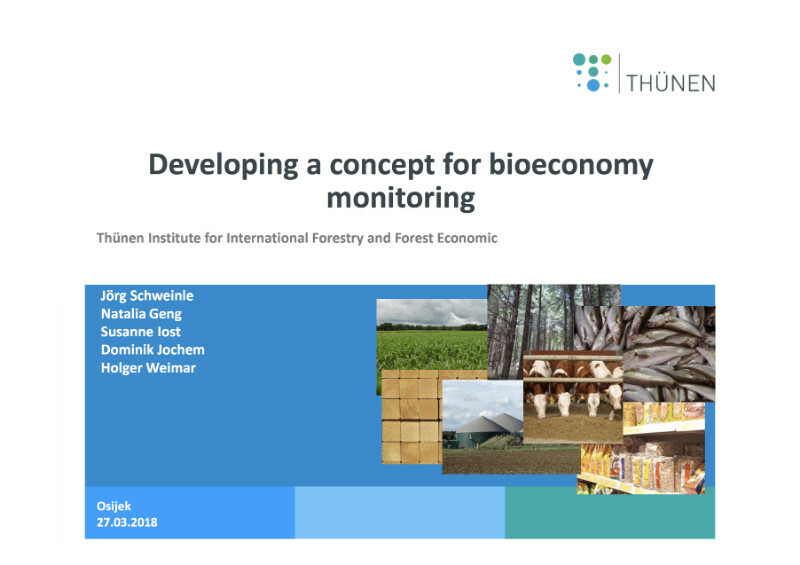 Here a group led by the Danish Institute of Market Analysis gave this overview of a bioeconomy monitoring system, as part of a IEA Bioenergy Task 43 workshop.